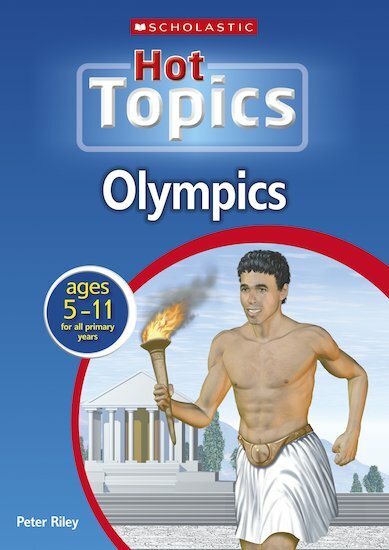 Find out how just one topic about the Olympics can help your pupils explore history, geography, science, creative writing, art and many other curriculum areas. Here is everything you need to teach your topic from start to finish, including lesson plans with clear learning objectives, photocopiables and templates. Why is the product innovative? • I liked the fact that you had lots of key facts/information, all about the topic, but in one resource. • The book provides tiered lesson plans for both KS1 and KS2, so has its own built in differentiation e.g. you could adapt a lesson aimed at younger children for older and vice versa. • A real wealth of different ideas, that are creative and practical, but easy to implement in a classroom situation. • I spend hours, researching a new topic, collecting ideas for displays and activities, but the ‘Hot Topics’ book, is a time saving device, that presents everything you need to know and how to present it in an interesting, but creative way. Enhance the everyday life? • I waste lots of time looking for appropriate pictures and sources of information. 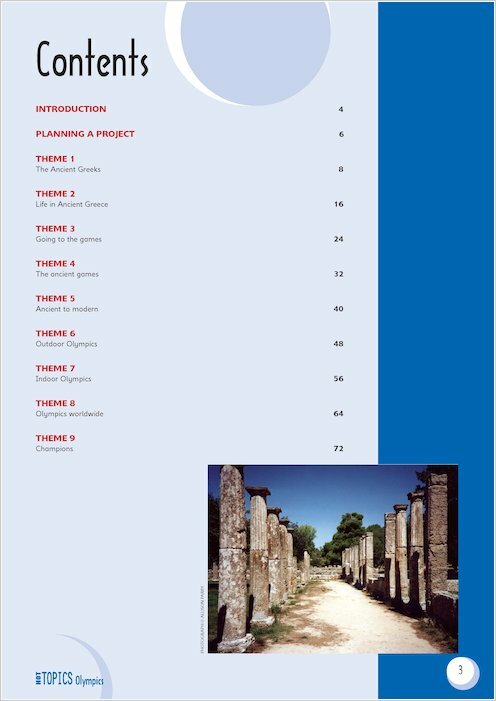 • The way the book is organised provides sequences of lessons, that build and develop key history skills. • The resource, presents everything you need to know and appropriate ways to teach each area of the topic. • The resource provides ideas, to incorporate ‘Topic’ activities in a thoroughly cross-curricular way e.g. through geography, PE/Games, history and literacy , amongst others. Pupil’s • The ideas are refreshing and provide a new approach to a topic that could be cautiously taught in a dry and unimaginative way. • There is something for everyone. • I have planned to use the outdoor and indoor Olympics (Themes 6& 7), with my Year 6 children. They are excited about designing their own games and trying to compete with each other, in their own version of the games.